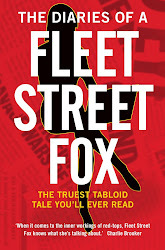 fleet street fox: Protest (n.): A declaration of dissent. BETWEEN six and ten million people worldwide protested against the Iraq War in 2003. In 1381 thousands of serfs from Essex and Kent marched on London in fury after years of slavery, taxation, and abuse. Armed mainly with farm tools they sacked and destroyed the Savoy Palace, one of the grandest buildings in Europe, and forced the king to meet their demands. The suffragettes, the Peterloo Massacre, the Jarrow March, Fathers 4 Justice scaling Big Ben dressed as Batman and the Battle of Cable Street - they were all protesting a wrong, and they were all regarded in their time as criminals, hooligans, vagrants, troublemakers. Swampy digging tunnels to stop a bypass, bereaved mothers campaigning for Sara's Law, Clare's Law, and Ayden's Law, veterans of Britain's nuclear tests fighting through the courts. They're all protesters, nothing more nor less. Each of them, from Wat Tyler to Tiananmen Square and the Million Man March were declaring their dissent; saying, in the only way they could about the thing they were powerless to stop: No thank you. Not in our name. Let's do things differently. And in every case from the dark ages to now those in power reply: Who? What? Don't be daft. Lock 'em up if they persist. Hunt them down and make them regret it. Not every protester is Gandhi, of course. Some of them are like Nelson Mandela or Emmeline Pankhurst, who decided that non-violence was getting them nowhere and it was time to start a bombing campaign. But in the end all are usually judged to have had a point, and these days Mandela and Pankhurst are as saintly as Gandhi. None of them, in their prime, were very nice to live with. Despite all that, despite the fact the US has a right to free assembly in its constitution and the European Convention on Human Rights gives us the same (so long as it's not illegal), protest and dissent are still not allowed. That's why Edward Snowden has been labelled a traitor for doing little more than pointing out America is spying on internet users worldwide. He is now stateless, hunted through the few countries in the world which will grant him asylum. And it's why when Stephen Lawrence was stabbed to death by a racist gang in south east London in 1993 the police's first reaction now seems to have been to gather as much dirt as possible on his family after they began a campaign demanding justice. Not tracking down the killers, only two of whom are currently in jail and then only after a long legal battle, several police investigations and a public inquiry which labelled the Met institutionally racist. No, it was more important to see if the victim's relatives were political, criminal or generally interested in stoking dissent. As though that would, in some way, make it all right for Stephen to be killed. The Lawrence family are just the latest-known targets of the Special Demonstration Squad, an undercover police unit set up in 1968 to infiltrate groups protesting against the Vietnam War. Since then it has infiltrated pretty much other protest group we had, from hippies who hate bypasses to animal rights protesters, fascists, anti-fascists and thugs who smash windows at the Ritz. Its officers have been criticised for using the identities of dead babies and sleeping with the protesters they were informing against, and not once in any of those operations known about so far has it achieved much. They found advance warning of some protests, but otherwise found only that hippies smoke dope, some people defraud the benefits system, and there was nothing unusual about the Lawrence family beyond the fact their boy had the bad luck to be spotted by a gang of stab-happy racists. There may be cases we don't know about but as of now it seems the SDS hasn't done much to protect the British way of life, to crack down on true terrorists or tackle things which would still be considered crimes with a change of government or the passage of time. While the unit has been shut down, its been absorbed into something called the National Domestic Extremism Unit so it's probably carrying on much as before. And they're just doing their job - there's someone higher up who has to decide the protesters are criminals to start with. But there are two things those who run it, and pay for it, and sign off on all it does have forgotten about. The first is that if dissent is capable of being a threat, what it's threatening isn't good enough to start with. If it's not a threat they can dissent as much as they like, and if it is a threat then why not fix the problem? And the second is that when people lose faith in democracy then there is no democracy left. They stop voting and start fighting, and the one follows the other as sure as the dodgy bloke follows a drunk girl home from the pub. 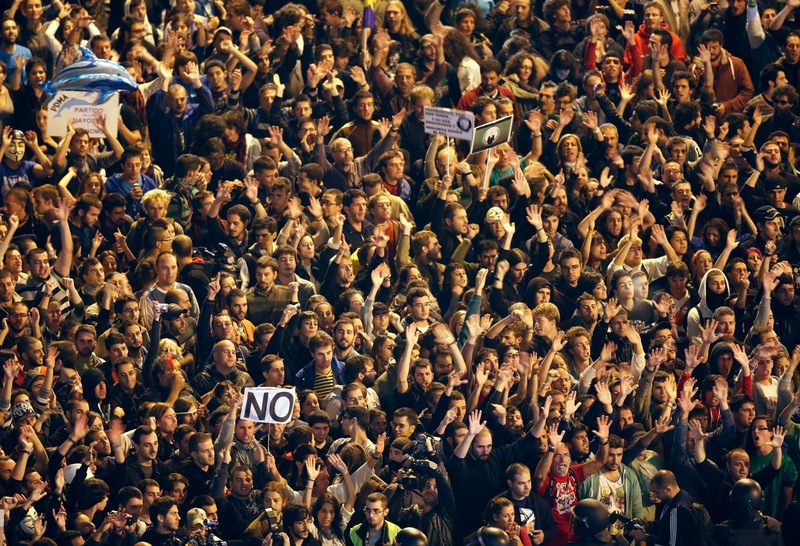 People presume they have a right to protest, to free assembly and to speak their minds. In British law they simply don't - you're allowed to do it only so long as the law lets you. That's why you get kettled when you protest and allowed to carry on if you come out waving brooms the day after a riot. It all depends on the whim of the police officer you're stood in front of at the time, and that's not the way things are supposed to be. We had the Magna Carta in 1215 and only two clauses are still in force. We had the Bill of Rights in 1689 and half of it's long-forgotten. And we have a voter turnout at election time that is getting lower and lower. People have forgotten what democracy is, what it can do and more importantly what we'd do without it. Despite all the struggles at home and abroad for 1,000 years or more, it is slipping through our fingers through a combination of apathy and idiot authority stamping on our hands. It was people power that convinced FW de Klerk apartheid was unsustainable and he should release Mandela. It was public outcry that won Gandhi's arguments, universal suffrage, and finally convinced Starbucks to cough up some tax money. It is not a surprise that those in power seek to keep it by any means necessary, and quash dissent wherever they find it even in the free world. But it is horrifying that they can do it without a whisper of complaint until long after it is done with. Give us a new Bill of British Rights - guaranteeing freedom of expression, speech, assembly and thought. It might ruin a lot of what the Coalition is doing, from Leveson to public order law and legal aid reforms, but if that's the case the lessons of history say it's a fair trade. Democracy is more important than any government. 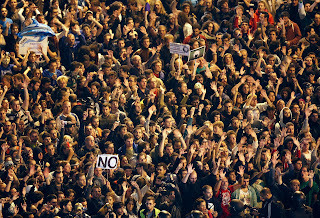 Can you protest against a lack of protest? I'm not sure, but let's try.